In 2007, OCCA initiated a program to monitor the health of waterways in the catchment to EHMP standards. 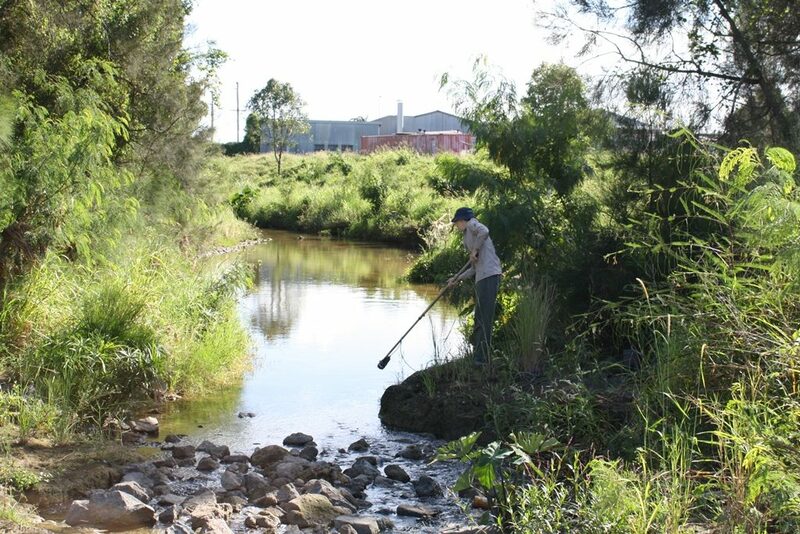 Monitoring is undertaken in accordance with the SEQ Catchments Community Monitoring Program and includes fish, macroinvertebrates, nutrients, physio-chemical parameters and ecosystem status at sites across the catchment. Funding through Everyone’s Environment Grants Round 2 has allowed OCCA to extend its water monitoring program and sample for an extended suite of metals, organics and physical and chemical water parameters at ten sites across the industrialised Stable Swamp Creek catchment. In 2016, monthly monitoring has taken place in February, March, April, May and June. This program is made possible due to the hard work and expertise of our volunteers. OCCA hopes that the results of this monitoring will allow us identify the poorer performing areas and develop CreekWATCH activities to engage local businesses and promote better practice.